Block Savannah (Books With Bite)? This will prevent Savannah (Books With Bite) from sending you messages, friend request or from viewing your profile. They will not be notified. Comments on discussion boards from them will be hidden by default. 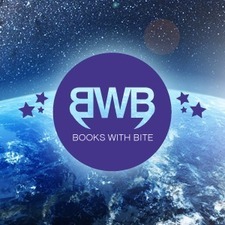 Sign in to Goodreads to learn more about Savannah (Books With Bite). We’d love your help. Let us know what’s wrong with this preview of The Lovely Reckless by Kami Garcia. We’d love your help. Let us know what’s wrong with this preview of Ice Like Fire by Sara Raasch. “Is it like a Harry Potter thing?" He turned his head then. "A what?" "A Harry Potter thing," she said again. "You know, don't say Voldemort's name because you might attract his attention?" He considered it. "You mean the children's book." Savannah (Books With Bite) read 126 books of her goal of 125! Take a look at Savannah (Books With Bite)’s Year in Books. The good, the bad, the long, the short—it’s all here.